Buzara is Croatian way of cooking mussels with only few simple ingredients. 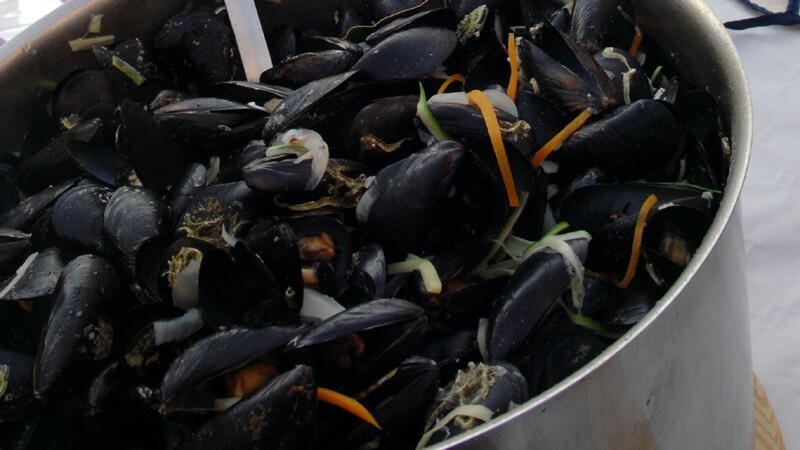 This easy mussels recipe is popular along the Dalmatian coast. 1. Heat olive oil in a large black enamel pot. 3. Add mussels and cook for a couple of minutes. 6. Boil slowly for about 10 minutes. 8. If sauce is too thin, thicken it with breadcrumbs.